This is a two-part tasting feature on the wines of the 2014 vintage in Hawke’s Bay in New Zealand. In part I – The Chardonnays of Hawke’s Bay – I covered the white wine variety considered to be the ‘hero’ of this region on the east coast of the North Island. 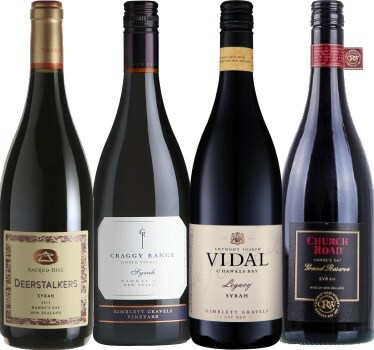 But it is probably red wines, particularly wines made from Syrah and the Bordeaux varieties, that have put Hawke’s Bay on the wine map over the past 20 years, especially those from an area called the Gimblett Gravels. First planted with red varieties in 1981, Gimblett Gravels now boasts 600 hectares of vineyard: 35% Merlot, 20% Syrah, 15% Cabernet Sauvignon, 7% Malbec, 4% Cabernet Franc and small pockets of ‘Other Red’ varietals, including Grenache, Montepulciano and Tempranillo, plus around 10% of Chardonnay. Gimblett Gravels claims ‘significantly’ warmer summer temperatures compared to other parts of the greater Hawke’s Bay region, the gravel soils said to “warm up early in the spring, dry out rapidly, and act as a big thermic blanket under the vines.” But undoubtedly there are excellent wines being made in other prime spots across Hawke’s Bay. Though arguably the best spot for ripening varieties like Cabernet Sauvignon in New Zealand, Hawke’s Bay is still a relatively cool, even marginal area, where subtle differences such as aspect, shelter from wind and proximity to the sea can have a considerable impact. The eight wines below all come from the very good, and relatively warm 2014 vintage. They include examples from the Gimblett Gravels of course, but also from other distinguished sites. All represent the premium category for Hawke’s Bay, though in truth Hawke’s Bay is a premium area overall, not generally the source of fruit for budget wines. Tasting my way through these eight wines formed a very compelling picture of quality in the region, with moderate alcohols (mostly around the 13.5% mark) and very good acidity to balance the ripe fruit. Varietal expression is also excellent, particularly noted in the Syrahs, but the Bordeaux blends would also delight Bordeaux enthusiasts, as they tended more towards a ‘classic’ profile, rather than more ripe and heavily-oaked character some might expect from any New World wine region. (2018) This Syrah from the always impressive Craggy Range spent 17 months in French oak barrels, 26% of which were new. Deep crimson and glossy, there's a refined fragrance, violet, delicate kirsch and a sprinkle of white pepper, just a sheen of balsamic oak there too. In the mouth the substance of the wine comes through powerfully, with a dark sinewy and savoury fruit, a real liquorice and endive grip to the tannins and acidity, and a long, fruity but meaty and umami finish. Note: price and stockist at time of writing is for the 2013 vintage. (2018) What a silky and beautiful wine from winemaker Hugh Crichton, who tells me he makes this vineyard and barrel selection top Syrah "like a Pinot Noir." Eighteen months in French oak just gives a dense, plum and cocoa depth to the beautifully pert and aromatic black cherry fruit, but there is a little sprinkle of white pepper adding some lift. On the palate the silkiness continues, as does the fat, ripe, black cherry oozing juiciness and cherry skin acid tartness, the oak adding a fine base of balsamic richness into the long finish. (2018) Sixteen months in French and Hungarian oak for this Syrah, a big-scaled wine with 14.5% alcohol declared on the label and plenty of meat and substance. Having said that, aromatics are good, not only deep plum fruit and some taut, graphite-like character, but a hint of lifted cherry and florals too. In the mouth it is smooth and silky, the weight of fruit, creamy tannins and integrated cherry-pit acidity balancing nicely. (2018) What a glorious wine this is, the Syrah aromatics fairly singing from the glass. Unusually for any New Zealand wine these days it is bottled under cork, not screwcap, but my bottle was certainly pristine and absolutely expressive. Violet and heavy dusting of white pepper, deep plum and cherry, and a fine blood and game background note are compelling. In the mouth that rasp of raspberry-edged acidity and a grippy, fine-grained tannin framework support copious fruit, a slick of chocolate or mocha, a hint of anise and a long, long finish. Should cellar very well, but irresistible now. Sadly though, another wine that appears not to have UK distribution at time of review. (2018) Sourced from the prime Gimblett Gravels terroir, this deep purple-black wine has a certain inkiness to the aromas, dry, spicy, a touch of graphite to black fruits. In the mouth the oak is a little more prominent, a touch of charriness of quality French oak, a firm strip of liquorice tannin and acidity, quite linear and structured, finishing with some of the black cassis fruit and spice coming through. Just a touch lean perhaps. (2018) Named after Tom McDonald, credited with being instrumental in the development of Hawkes Bay wine region, this was fermented in a combination of large oak tanks and concrete, and spent 21 months in oak. It is deeply-coloured and glossy, with damson, black berries and a sheen of creamy, vanilla-touched oak. In the mouth the oak is a little resinous for me, which along with the 14.5% alcohol just swamps the fruit a little, the tart plum skins of the acidity and rasp tannins also playing against the fruit. The sweetness of the fruit does peek through, but finishing on spice rather than fruit. (2018) A Bordeaux blend from the Gimblett Gravels,Te Kahu 2014 is 68% Merlot. Very fine graphite and delicate cigar-box nose, discreet but intense and pure black fruits, a very classic but obviously ripe style that's very inviting. In the mouth it really is a lovely wine: balanced but plush, there's plenty of sweet cassis fruit, but that savoury, umami sense of meatiness and the swirl of smokiness is elegant and classy. Please note, stockist and price is for the 2013 vintage at time of review. 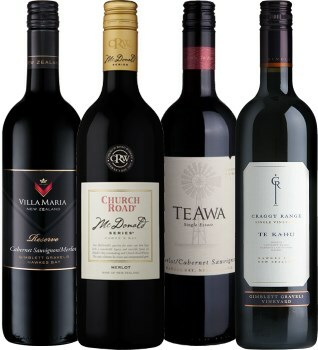 (2018) There's also 4% Cabernet Franc joining the 54% Merlot and 46% Cabernet Sauvignon in this premium wine from Te Awa, fermented with native yeasts then aged for 18 months in French oak. Ripe, dense fruit dominates here. Yes, there's a glossy slick of creamy oak, but it is blackcurrant and black plum, and a touch of balsamic that drives the aromas. On the palate an umami savouriness is nicely done, the foundation for ripe but tangy and tart-edged black fruits, the acidity giving an edge along with a roughening grip of tannin from the fruit and barrel. Quite long, that savoury, meaty character is appealing. Thank you for sharing Tom! This is one of the regions we are not so familiar with – thanks for the insight. Many thanks, and glad you enjoyed it. Hawke’s Bay is quite different from the wine regions of the South Island, and worth getting to know.